There is nothing like too-good-to-be-true teeth that make you flash a stunning, super bright smile at every turn. With the beautiful and natural look of porcelain veneers, a less-than-perfect smile will go from something to hide to something you will want to share pridefully with the world. This non-surgical, pain-free solution to issues including gaps, chips, cracks, spaces, stains/discoloration, crookedness, erosion, and more will be the dental procedure you have been waiting for. From tooth prep to the finished product, you will be in good hands with Drs. Barry and Love. It is a remarkable revision you will be so glad you learned about and decided to go with. Here is all you need to know about porcelain veneers and their exceptional end result, which is nothing short of ravishing…really! Think of porcelain veneers as a super thin “shells” that are fitted and bonded onto the surface of your teeth. Made out of a very thin piece of tooth-colored porcelain that resembles a real tooth – from its shape and shine to the way it catches the light – these veneers are aesthetically appealing in more ways than one. They cover up and correct all sorts of unsightly dental issues and leave you looking lovelier than ever with a better-balanced smile that lifts your self-confidence. Shaped to suit your tooth shape and unique smile, your made-to-order porcelain veneers will always look natural and undetectable to others. Unless you tell them, no one will ever know they are not your real teeth. Are porcelain veneers a good option for me? And what is the process like for putting them on? When teeth are unattractively chipped, misshapen, uneven, spaced too far apart, or discolored/stained, etc., porcelain veneers are a “cure-all” in-office cosmetic solution that dental patients have been pleased with for a long time. If you are experiencing one or more of these appearance issues and want a natural looking, non-surgical fix, porcelain veneers could be the right choice for you, provided the dentist determines that you are a good candidate for getting them. The relatively simple procedure for placing your immaculate porcelain veneers will be a two-visit process. The first step during visit #1 will entail the removal of just a bit of the tooth structure just off the front surface so the porcelain veneers do not protrude and look obvious or unnatural. Just a bit of etching and sanding to leave room for the thin film to adhere. Next you will be carefully fitted for just the right shape and size as well as an exact color match, and the unique details of your teeth will be sent out to the lab for the creation of your brand new porcelain veneers. 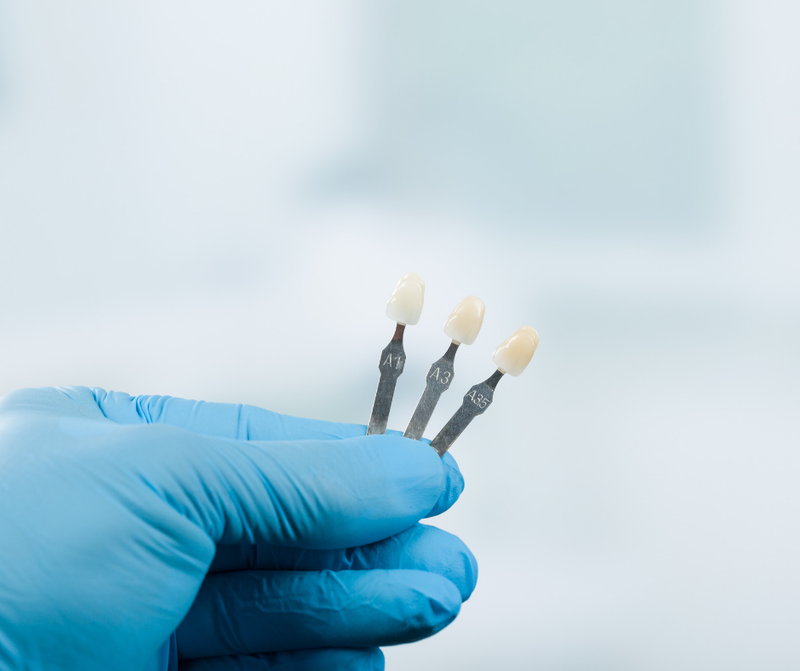 There is no “one-size-fits-all” solution when it comes to porcelain veneers. Every tooth is different, every desired outcome unique. That’s why we talk about goals and expectations, measure your teeth, and take the time to get it right. And you may like a celebrity’s smile or the work we’ve done on someone you know, but your teeth are not the same as someone else’s. What we do is create the smile to make you look your best. You wouldn’t want it any other way. Customized care is our promise to you, and you’ll look better for it. In a few short weeks, the porcelain veneers will be custom-created and sent to our office for permanent placement onto your teeth. In the interim, we’ll place temporary crowns over your teeth that are removed once the “real” ones arrive. We will give a call when they are ready and then you will return for your follow-up appointment for the bonding process. Must I get veneers on all of my teeth? No, it all depends on what will make your mouth look the most natural. This could mean just one single tooth is treated. We will assess your situation and create a plan that perfects your overall look, just how you’ll like it. The veneers stay in place perfectly for many years. With proper care of your teeth, you may have them for life! 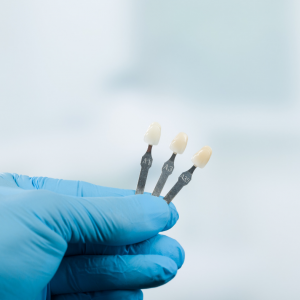 The porcelain veneers will remain virtually stain-free, potentially improve your bite depending on your initial issue, and give your self-esteem a boost. Your smile will look better than ever, totally natural, and all without surgery. I’ve heard of Lumineers. Do you provide them at your practice too? Lumineers are less permanent than porcelain, but still just as beautiful. 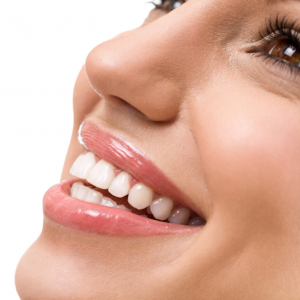 There is no need to remove any of the tooth structure, as these are placed over the teeth. No pain, super-fast, and a stunning transformation. Ask the dentists at Lifetime Dental Health about this option if you’re not ready to go all out with porcelain veneers just yet. If you’re interested in being fitted for porcelain veneers, take the first step to a better smile by scheduling an appointment with Lifetime Dental Health!